1. Please M, tell our readers briefly WHEN, HOW, WHERE or in WHICH circumstances we met? I’d been in my job as the new Manager of Waralungku Arts, an Indigenous Art Centre in the remote Northern Territory town of Borroloola about two months, and was still buried in old papers, spider webs, old pots of dried up paint, and was wading my way through the ‘gallery’ of paintings badly stored in piles on the floor and crookedly hanging around the place with dust building up and wasp nests in the corners. I was up to my ears and trying to get things ‘organised’… I am the kind of person who needs a space to be clean and organised before I can start to concentrate… My dream was to soon kick start financial and business development. The centre had low visitor numbers compared to others in the region, I really needed to be focusing on organising the computer systems and database of paintings on the catalogue, applying for grants, and uplifting the business plan and maximise the centre to its potential. The poor old ladies who were the artists also needed attention to do things to inspire them and put their skills and talent to use… rather than just sit weaving or painting surrounded by all the mess. I spent most of my time cleaning and it never seemed to end, or I’d make minor attempts to do computer work but get distracted by randomly cleaning things here and there as I moved from one room to another. One day I remember thinking “oh I just wish there was someone here to help” … and honestly, THE NEXT DAY, in came Roseline!! Roseline introduced herself as the new person in town spending time with the elders in the respite care. She was looking for some arts activities to engage them. So I gave her some paint and canvas and I just happened to mention she was welcome back anytime if she was looking for something to do being new in town. Roseline came back a few days later and asked if there was ‘anything to help with’. And I said it would be great if she could help with hanging some of the paintings on the floor onto the new racks we had bought. So off she went cutting the display sheets and attaching the paintings. 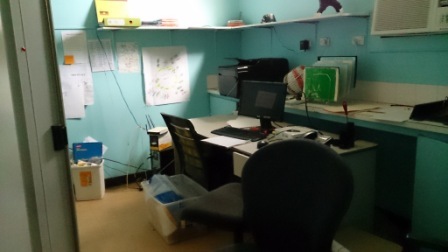 “Do you mind if I just rearrange a few things with the space” Roseline asked, “I think it would be nice to open up this area a bit more so there is a bit more flow around the space”… Roseline suggested. We discussed some ideas and I left her to her own devices. 2. Since then, could you share what is the most interesting Feng Shui result that you have experienced? After the first week with Roseline working in the gallery, it just looked so much better. 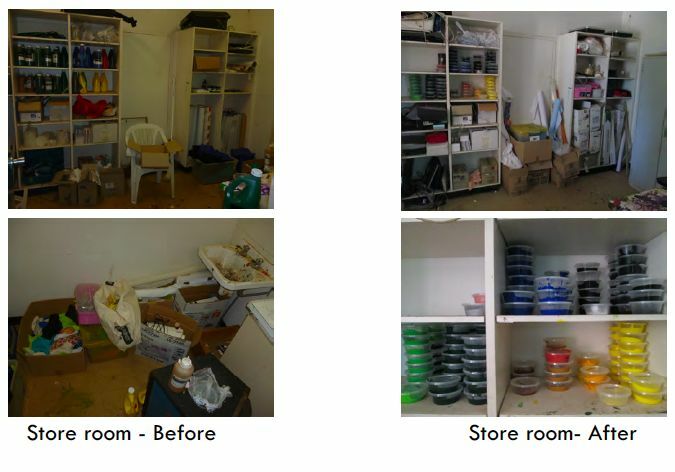 I said to Roseline, “Hey, you should leave your number so we can call you when we need help if you have time, you’ve done an amazing job!” – I remember really feeling happy to go into the space and look at the new rearrangement, it was just a few simple changes that made all the difference, and the results were so pleasing. Roseline said she gave her card to Miriam, the other staff member. So I went to take a look and put her number into my phone, and on the card it said “Roseline Deleu – Feng Shui Master” and I smiled and said – oh no wonder the gallery looks so great, Roseline is a Feng Shui Master! Roseline had never mentioned that she was a Feng Shui Master, just said she was going to help out a bit while she was in this remote area. Then it really made sense why it looked so great. I think this experience goes to show Feng Shui really works, because we didn’t ‘expect’ any results because we didn’t realise Roseline was doing Feng Shui. 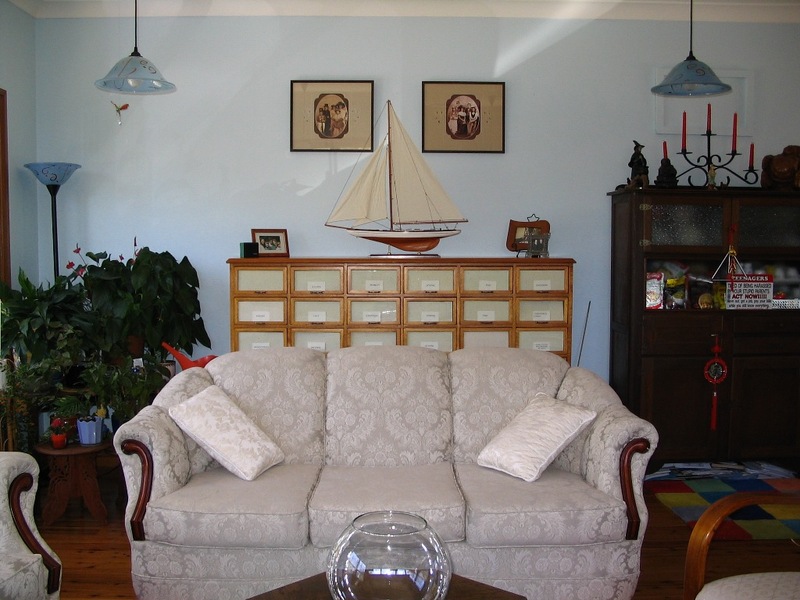 I had commented on how I felt not only that the space looked better also that I really felt more positive as a result – and it was just after that that I realised Roseline is a professional Feng Shui Master. 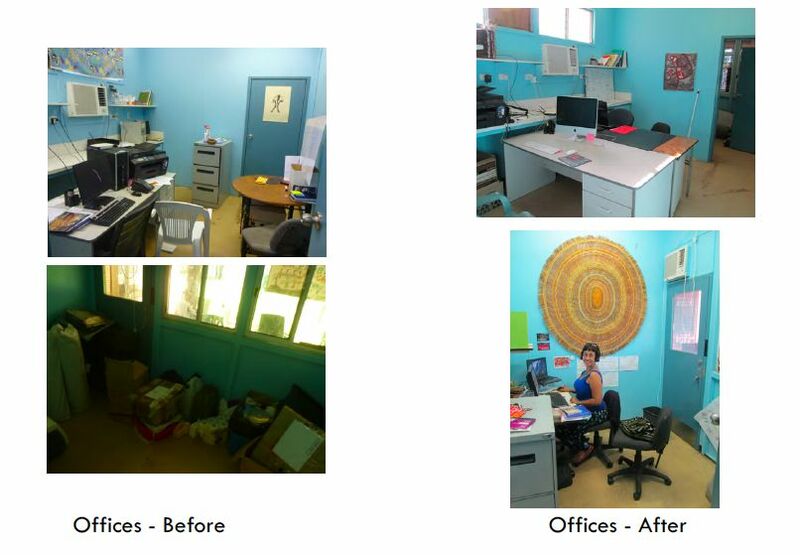 After this realisation I seized the opportunity to work with Roseline to transform the rest of the spaces, and it was wonderful to hear her advice about how to re-arrange the offices to encourage productivity in the staff. One staff member used to sit in her own room she was always closing the door and not working to their full capacity. 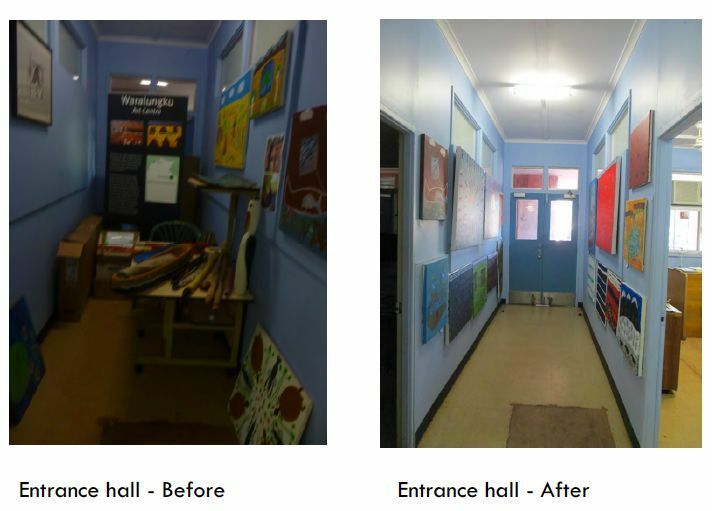 Another worked well but was cramped up in another space… Together we rearranged the space so I was engaging more with the staff member who was isolated out the back, and her work-ethic and our relationship has since really turned around. There were some instant results like the fact that we could chat and relate more positively sitting in the same space, and some more long term results like her attitude really turning around and her confidence and productivity as well. 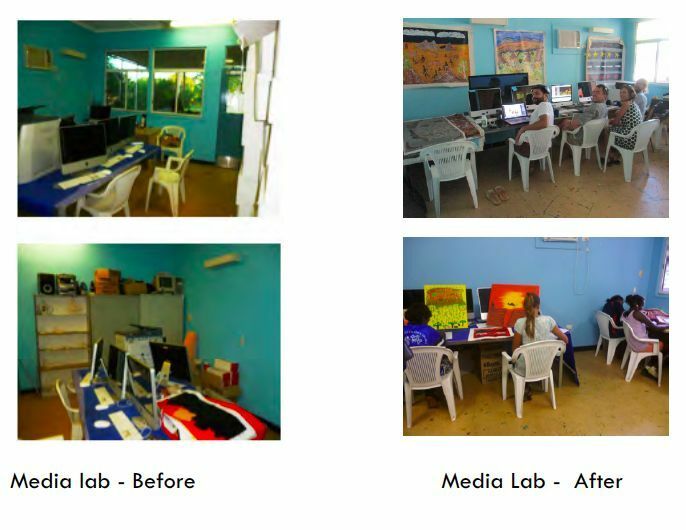 The most interesting results were the surprises seeing how the small changes that Roseline suggested in the space really transformed not only the energy of the space, but the energy of our minds and relationships. 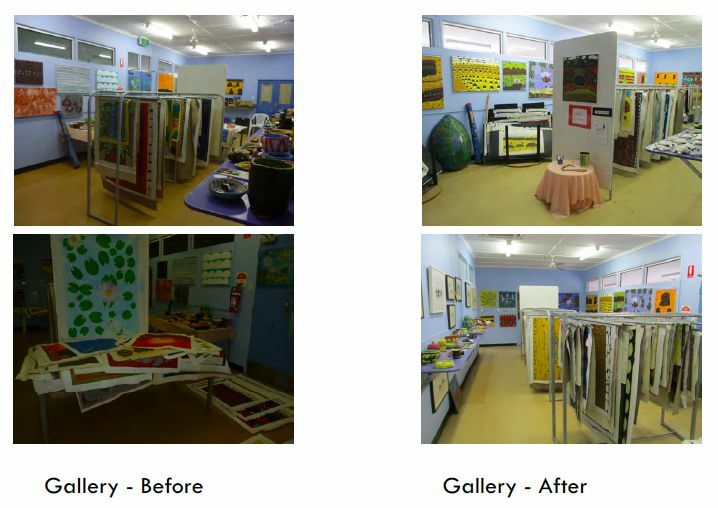 The most impressive result to also note was in the month Roseline completed her transformations and the gallery was looking great our sales went from $2,000 the previous year to $20,000 this year in the same month. This was at the peak tourist season, and the new space was much more inviting to make the most of the potential customers. We have also maintained higher sales over the other months just as a result of the transformation of the space. I remember one time after a day with Roseline on board the gallery looked so great I even wanted to come back and look on the weekend as it was making me so happy!! Roseline was really a gift to our art centre and now, six months later, I see small things like the welcome sign she suggested, and think – Oh Roseline was so great! If only she can come back – but I’ve learned how to make my own difference, and that is important too. She was a great Feng Shui master and became a great friend. 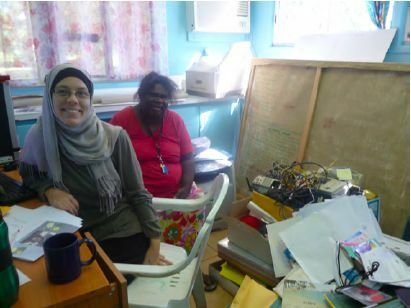 We really miss her here in Borroloola. 3. Let’s talk more about you and your Community. Tell us a little about your Art Centre and your artists. Waralungku Arts is an Indigenous owned art centre, we are part of the Mabunji Aboriginal Resource Association in Borroloola. 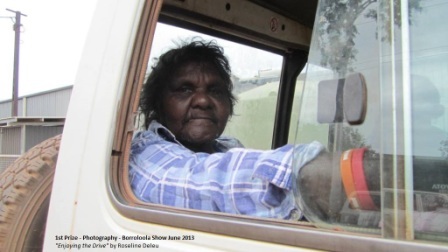 Borroloola is a town of about 1000 people, about 75% of whom are Indigenous people. It’s a nice town, and has a constant flow of tourists during the dry season. The art centre has been around for just over 10 years now. The art centre is the central place for the community’s arts and cultural activities which range from painting, carving, weaving, jewellery making and other arts to dance, song, and storytelling based on the traditions of the Yanyuwa, Garrwa, Marra and Gudanji Language groups. 4. What are the five words that people would use to describe Waralungku Art Centre. 5. What was the purpose of starting Mabunji Art Centre and how has the concept come about? 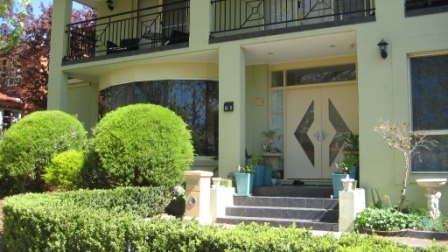 The art centre was started with the support of a regional arts development organisation. There were several local Aboriginal people who wanted to start to make art and start an art centre for their community. 6. What are the most common questions that people ask who come to see you for advice? People mostly ask us about the local community, about the Indigenous culture and traditions. They also ask about nice places to visit in the area. We often tell them stories of the artworks on display. 7. Tell us more about your services that you provide to your clients? 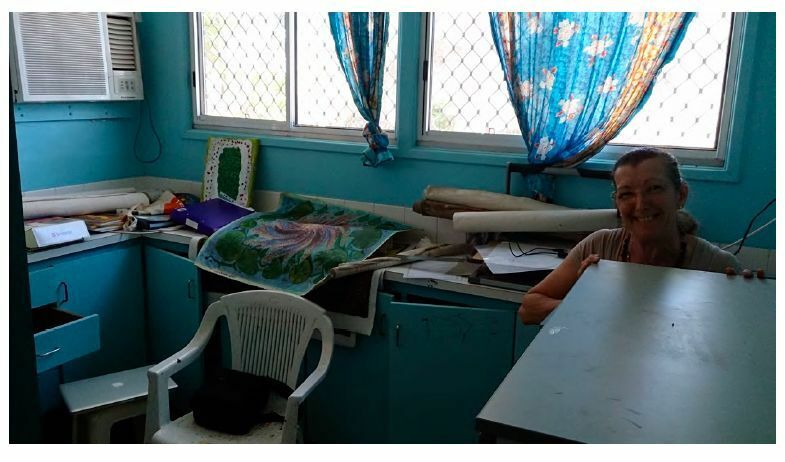 We provide a space for the local Aboriginal artists to create and sell their artworks, and share them with the people coming to visit Borroloola. We have a gallery, and now a new café, so tourists can visit and talk to the artists, look at their artworks and even purchase some to take home. We sell a range of products from smaller items such as clapsticks and t-shirts that are great gifts and mementoes to collectable artworks by our artists with international reputations. 8. Tell us about your process for working with clients? We have two Indigenous arts officers who work at the Art Centre, so they are always there ready to talk to customers and share information about the art and culture. As manager I help to support the sales and development, but I am lucky to have these local ladies working with me to share culture with the visitors. Over the past 6 months we have really focused on creating an inviting space for people to visit and spend time with the artists. 9. What advice can you offer to people who are just discovering Waralungku Arts? Based on my own experience, I gained a real appreciation for Indigenous art after I took time to visit and understand the culture and people. Like all art, there are layers of meaning, and the best way to discover these is first hand- coming to the country and community! We certainly welcome any visitors here, there is accommodation in town and great fishing as well as arts, culture and community experiences! 10. Do you have a book/art piece that you would like to recommend? Some books about the region include: “Singing Country” by John Bradley, which is about the Yanyuwa people and his experience living with the community for over 20 years as a teacher and linguist. Our art can be seen on our website www.waralungku.com it shows a small selection of what is found in our gallery! Waralungku Arts is on Robinson Road, the main street of Borroloola. Borroloola is a stop on the savannah way, a popular tourist trail between Cairns, QLD and Broome, WA. The best time to visit is May through to October but we are actually accessible 99% of the time as our road rarely floods when entering from the Stewart Highway where it is sealed all the way in. A picture replaces a thousand words! 1. Dead looking tree on the right hand side near the doors -> dead plants = dead energy 😦 Give some TLC (Tender Love and Care) to all your plants please. 2. Bushes are too close and too big on the left of the garden and are covering partly the curved tinted windows. Windows symbolise the eyes and your view on life. What are those people hiding to others or to themselves? 3. Too many pots of small plants have been put on the stairs. Prefer 2 pots only and honour the plants, which means put bigger plants otherwise you would look down when you walk. Looking down = feeling down or loosing courage. Look up, feel good. 4. Double doors in this with 2 door handles. Would be better to only have one with lock and handle to avoid confusing luck and opportunities. 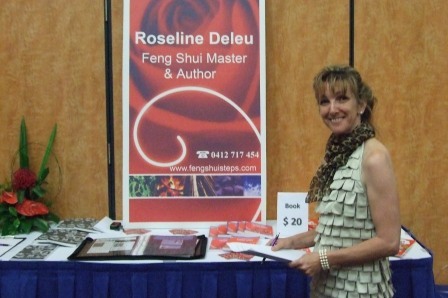 Purchase Roseline’s best selling E-book and enjoy your Feng Shui experiences. Easy to read, easy to apply! 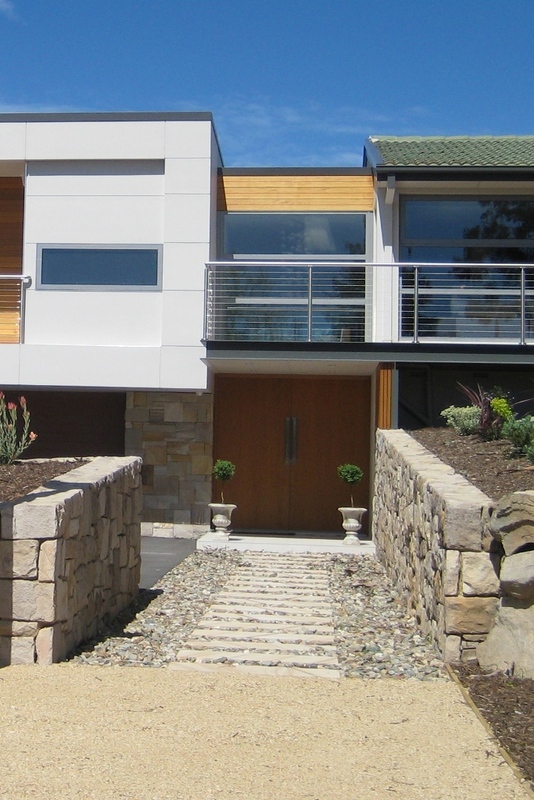 In Feng Shui (Wind & Water) a welcome entry is essential! AVOID pointy rocks and angular pebbles leading to your entrance, they are inhospitable (see photo below). SUGGESTIONS – In this illustration, the entry needs the elements of WATER (Shui) that could for ex. be added with a fountain AND we also need a MOVEMENT (Feng) that Mondo grass or lovely light plants with round leaves floating in the wind. Those small light plants will be plants instead or amongst the existing pebbles next to the rectangular paves. Excess of pointy rocks in this entrance gives a subliminal inhospitable message to visitors and potential opportunities. Luck is turned away. Adding a few little changes will make a huge difference. 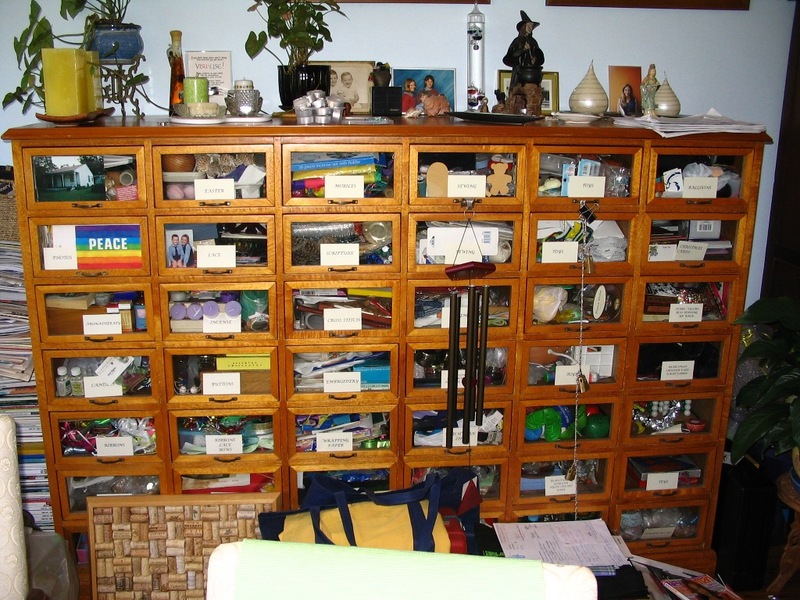 Regardless of your drawers appearance (transparent or not), drawers symbolise your thoughts.